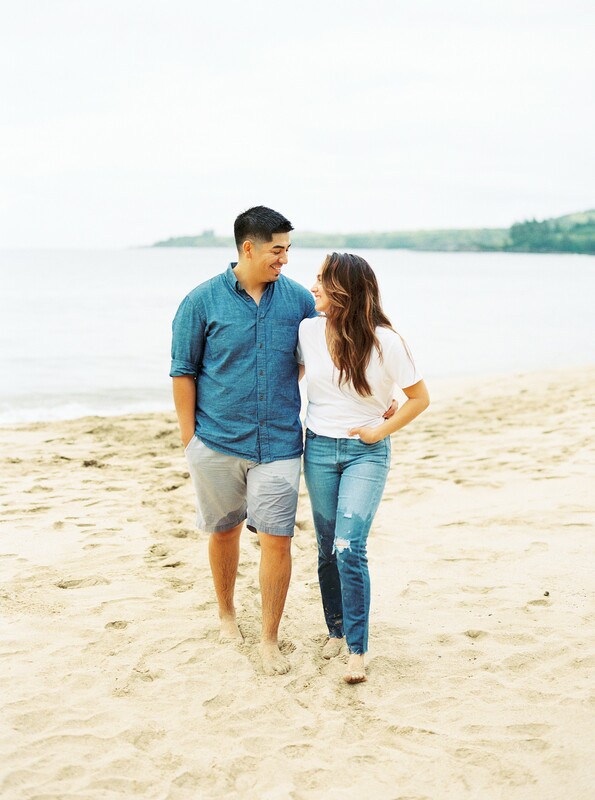 Two days before their wedding in Maui, Vanessa & Tony had this sweet and casual session with photographer Brittany Jean. 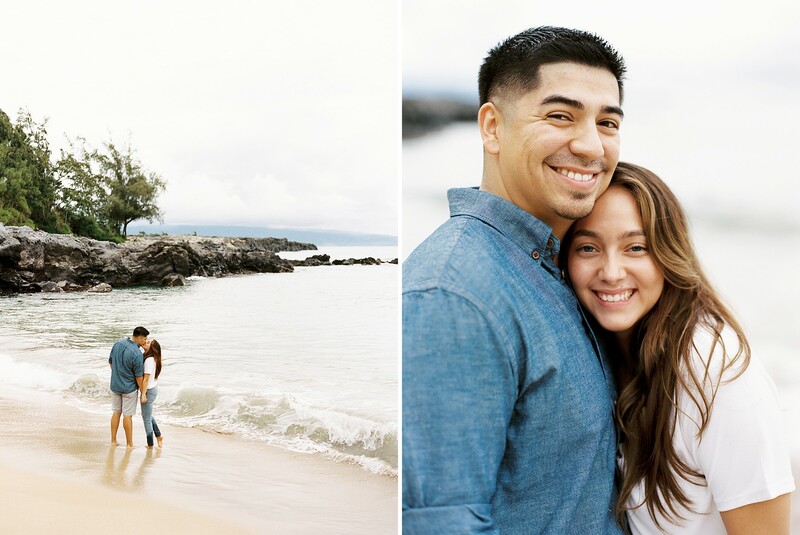 They wanted to have a unique and laid back beach wedding on the island, and this session was the precursor to a fun and relaxing weekend for them! 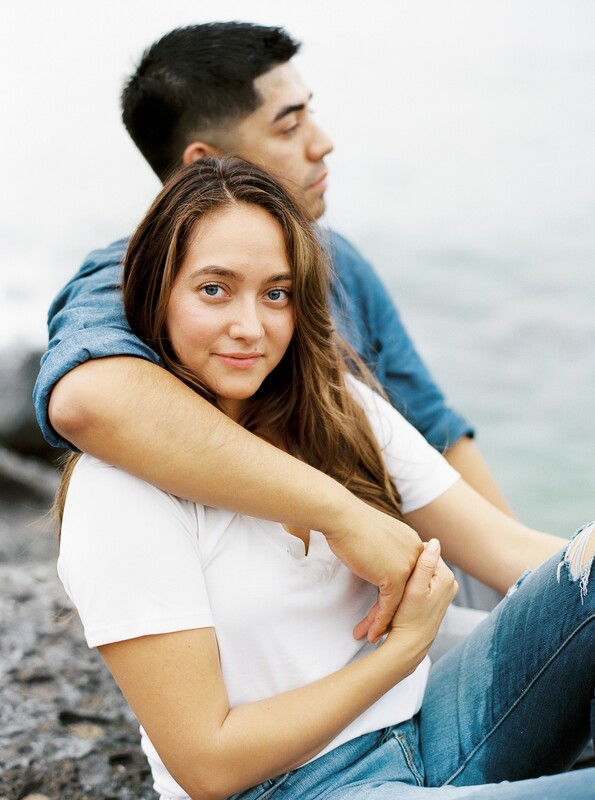 We touched base with the couple with a few questions about how they met, and what they thought of their wedding weekend, and we’d love to share with you! My first impression of Tony was that he was this flirty guy that would always pick on me. I would always look forward to that class because he would make me laugh. When we first decided to get married we had agreed we would write our own personal vows. When it was close to the wedding time mine was super long and Tony’s was really short. Tony was stressed out because his was so short compared to my novel. Wedding day came, we were surrounded by our closest family and friends and it was time to share our vows. We both ended up with SYNCED vows! SAME jokes about vowing to share our Whataburger fries, vowing to take out our dogs when the other isn’t feeling good, him vowing to rub my tummy when I got sick, me praising him for rubbing my tummy when I got sick when I used to be addicted to hot Cheetos, him vowing to always support me being vegan (he’s not vegan), me praising him for his support from my new journey, and many many more! All our guests were so surprised and thought we wrote them together! Tony is a year ahead of me so he went off to college first while I was in my senior year of high school. There were some hurdles to overcome with distance, but it made us stronger in the end. Our vows will definitely be the most important to us! We have been dating for 10 years before this special day, and writing our vows to actually reciting them in front of the most important people in our lives.. ah I get goosebumps just thinking about it! My favorite thing about Tony is that he’s so funny. He will make me laugh even when I’m mad at him. Very close to him being just such a good person and very giving. My favorite thing about Vanessa is that she’s so giving to everyone and everything. My favorite part about planning my wedding was towards the end. When I actually saw things in my mind go together. The colors, the flowers, the venue, the chairs, the small special things. It’s so great to see it all go together! To get a great photographer to capture everything!! We also regret not getting a videographer! And to just enjoy the process. Wedding planning can be stressful and can tear people apart, but from the beginning we said we would not be that way and just enjoy this time we have. We waited almost 11 years so we had to! It’s easy to love someone, but being in a relationships takes selflessness and communication. If you don’t have these two qualities in your relationships things will probably not work out. Communicate with each other of your feelings and just be there for one another, even if you don’t want to be all the time.